South of the border flavor bursts forth with brilliant hot and cool colors. 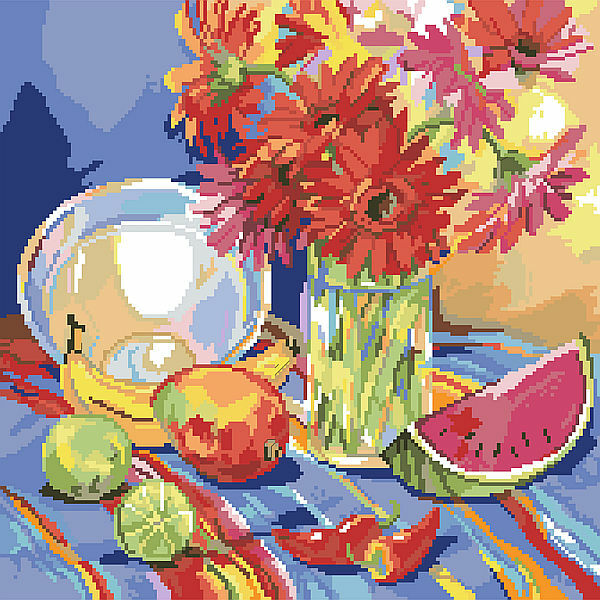 The cool blue background and the ethnic patterned tablecloth compliment the hot colors of the gerbera daisies and tropical watermelon, mango, lime, banana and chili peppers. This painterly still life by Nancy Rossi is a delight.